When you are looking for the finest American made commercial-grade site furnishings in the industry, look no further than Superior Site Amenities. 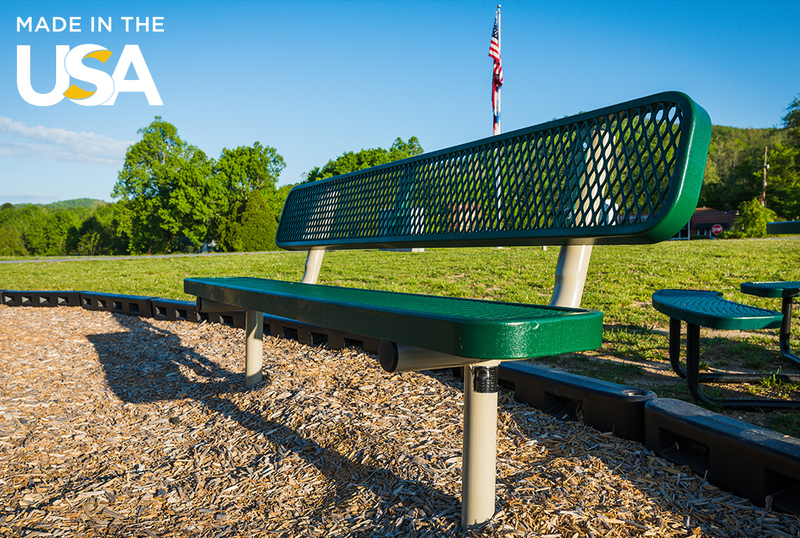 We are located in the heartland of America in McAlester, Okla. where over 80 proud employees manufacture the best steel tables, benches, trash receptacles, and bike racks in the industry. Safety Standards: We are members of the U.S. Consumer Product Safety Commission (CPSC) and the American Society for Testing Materials (ASTM) which sets standards and guidelines that we happily meet or exceed for the safety and dependability for our customers. Quality Guidelines: The phrase "Made in the USA" represents a higher standard of quality and craftsmanship for a better product. We are able to control the quality through associates with the CPSC and ASTM. Imported foreign goods give consumers no guarantee of quality or dependability of the finished product. Economic Impact: When manufacturing stays in the United States, more investment gets put back into the manufacturing industry, which makes for a stronger job market for manufacturing workers and economy for U.S. consumers. Superior Site Amenities is a manufacturer and supplier of site amenities, and is a proud member of the PlayCore family of brands. Our products have been creating and providing joy for communities just like yours for over 25 years. Together, we can create spaces where people can play, relax, and live. How can we help you play, relax, and live?